Our Magnetic Card Holders and Magnetic Pockets are versatile visual communication tools which help plan, schedule, and organise any work environment. Make quick changes and interchange information as often as needed with these reusable magnetic holders and pockets. 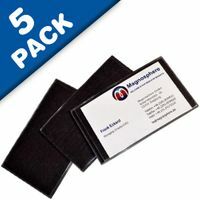 Made from soft yet sturdy material that won’t scratch surfaces when mounted or removed, their magnetic backs adhere to any ferrous metal surface. 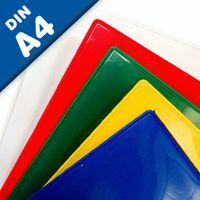 Label holders come in a variety of shapes, sizes, styles and types, including plastic, peel and stick, magnetic, removable adhesive, binder stick on and more. While many come with inserts, you'll want to make sure the holders fit the labels you plan to use for your event or meeting. At Magnosphere we are able to supply plastic magnetic label holders in a range of designs, all manufactured to securely hold labels and information tickets for industrial or retail use. The magnetic element of the label holders enables application in extremely cold conditions. This makes them a firm favourite with customers who have freezer storage areas, particularly food service and food production. 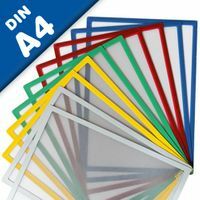 Extruded PVC is exceptionally strong which makes the plastic magnetic label holders the ideal product for use on shelves where the location size and position changes frequently. Using a label holder instead of adhesive labels enables the customer to have flexible locations: labels can be put in, taken out and moved along the plastic strips an unlimited number of times thanks to their tough design. 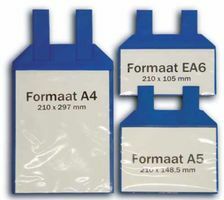 As this type of label holder does not utilise adhesive the label holder can be removed from the shelves easily and without leaving any residue. 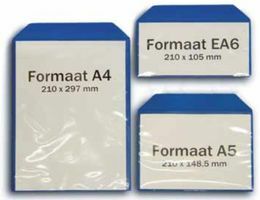 Made from a tough vinyl and magnetic strips these durable envelopes protect, store and display critical information. Place on metal shelves, racks, equipment, lockers, doors etc. Label shelves and canopies the easy way with our selection of Magnetic and Self-adhesive Label Holders. Label shelves and canopies the easy way with our selection of Magnetic and Self-adhesive Label Holders. Inventory can move as fast as you blink your eyes. One minute your shelves are full, the next your products are moving out the door and it's time to bring in new inventory. As your inventory changes, it's important for your warehouse to remain flexible. Proper warehouse labels and shelf labels are an essential element in every warehouse for inventory storage to function. White Write-On/Wipe Off. From our White Magnetic Labels and label strips to our plain magnets and Plain Magnetic Strips to our Magnetic Vinyl Envelopes – our versatile products are just what you need to manage your warehouse product flow. At Magnospere.co.uk, our high quality magnetic shelf labels and warehouse rack labels simplify inventory management and storage. Not only will you be able to label everything properly, but when you have an inventory shift or new products become available – you'll be able to easily pull, peel, and place our magnetic warehouse rack labels and metal shelf labels into their proper place – greatly saving you time and improving your cost of doing business. 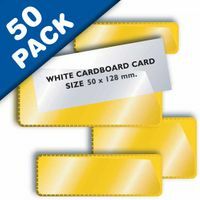 Card Holders, Plain Magnets, whatever your need maybe,we have magnetic warehouse labels available that will do the trick. Who supplies high quality Magnetic Shelf Label Holders? 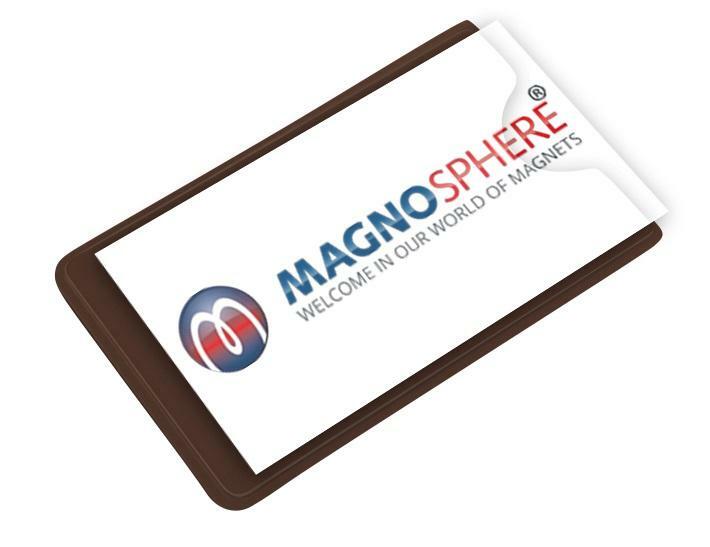 Magnosphere offers best priced Magnetic Shelf Label Holders globally to all industries, including Automotive, Aerospace, Military, Advertising, Design House, Electronic and Academic/R&D. Please inquire for custom Neodymium magnets or magnetic assembly. Buy Magnetic Shelf Label Holders at Magnosphere and get a better deal!